Bearstep jumped back in suprise but nodded to listen. The kits began to stir and Brighthheart went back in. Tell me what it forsees later, Bearstep! Thanks! She purred going back in to comfort her kits. 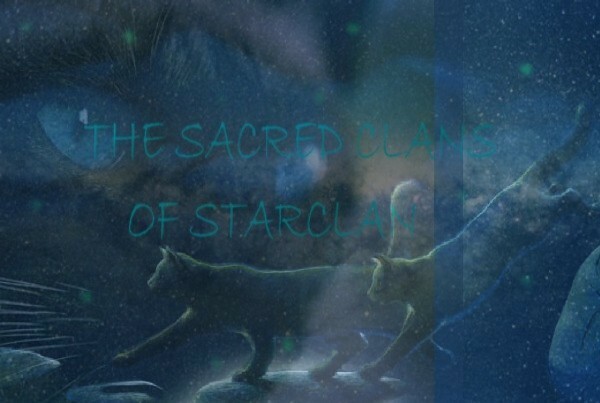 Warstar stood tall Blood and fury will be covered, but blood breaks the skin and unleash the fury, but three cats hold the will of Starclan in their paws. She repeated it. Bearstep nodded. I wonder who the cats will be he thought. Bearstep nodded and headed back to Brightheart to tell her. After Bearstep told Brightheart she curled around her kits, nodded her thanks and fell asleep. Bearstep kept watch of camp. Bearstep nodded his thanks and took both Warstar and Brightheart some fresh kill. Warstar kindly nodded to him Thank you she said. Flowerpelt kept check on Brightheart's kits. Brightheart nudged the apprentice. Thanks. She purred begining to eat the kill. Bearstep nodded. No problem. By the way, who is Graypaw's mentore I forgot. He purred. Brightheart licked her kits gently. Bearstep nodded. Thanks. I forget at times! He purred heading off. Come on Graypaw, lets go practice hunting skills. Bearstep purred, hoping his apprentice would be excited. Graypaw jumped around, he loved hunting. Bearstep laughed silently and ran to the hunting grounds. Race ya there! He ourred running like a speeding bullet. Bearstep laughed and ran faster than him towards the hunting grounds without a beat of sweat. Brightheart rolled her eyes at the sight. Brightheart nodded. Nothing but show offs. She laughed.